Both Idea and Vodafone have jointly decided to join their operations to become the country's largest telecom operator. [New Delhi]: The Department of Telecom (DOT) today can approve the proposed merger plan of Vodafone India and Idea Cellular. The company formed after the merger will be the largest mobile operator company in the country, which is proposed to be named Vodafone-Idea Limited. 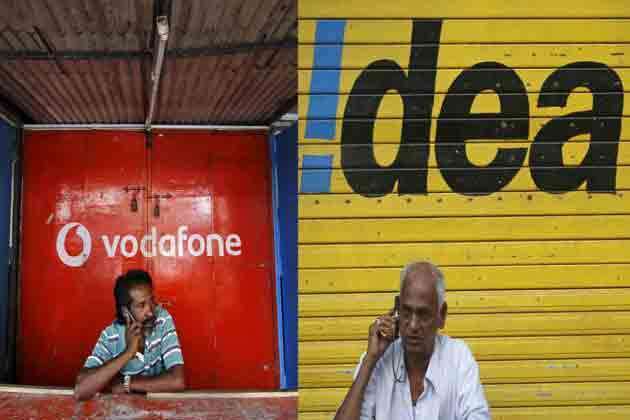 An official said, "The merger of Vodafone-Idea can be approved by the Department of Telecommunications on Monday." Idea and Vodafone jointly decided to join their operations to become the country's largest telecom operator. According to the data, the combined income of the new company will be $ 23 billion (more than Rs 1.5 lakh crore), which will be 35 percent of market share and the base of its customers will be 430 million (43 crore). This proposed merger can provide relief to both the companies. Presently these two companies have suffered losses due to fierce competition, where their margins have gone down due to free voice calls. At present, the combined burden of debt is Rs 1.15 lakh crore on these two companies which are joining the merger. According to the information, the telecom department could demand a bank guarantee of Rs 2100 crore for the one time duty of Idea Cellular's spectrum. At the same time, he will have to believe that he will settle all spectrum related dues according to the court order. Apart from this, Idea will also have the responsibility of Vodafone India's one-year bank guarantee for payment of spectrum fee pieces.